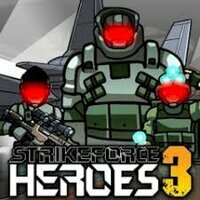 Description: A fun arena based shooting game where you have to kill your opponent a set number of times to progress. Pick up weapons and upgrades along the map to help you deal more damage. Knock your opponent off the map to kill them.